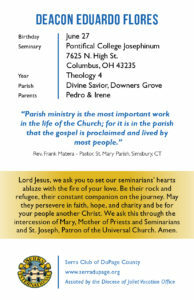 Please join us is our prayer & action for vocations! through prayer and active fellowship since 1958. 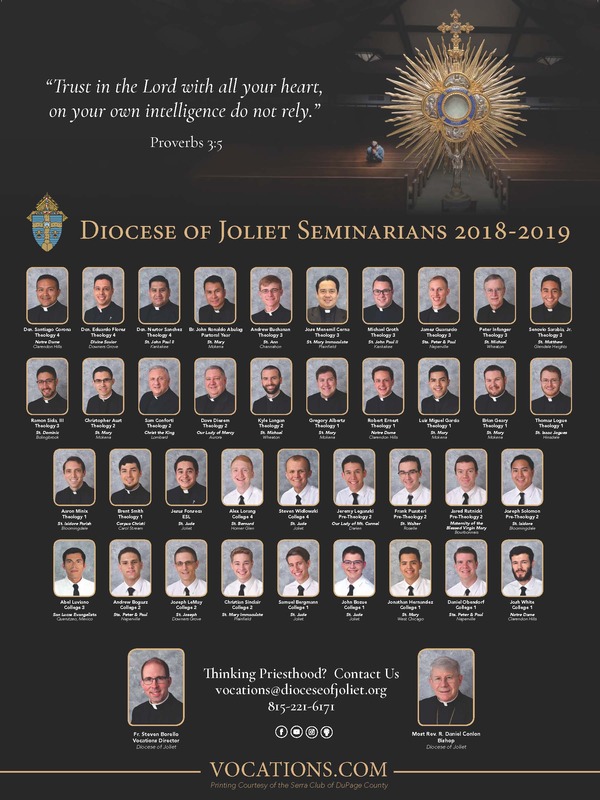 We pray privately every day for our seminarians, priests & religious and for an increase of new vocations, particularly in the Diocese of Joliet. Together, we have Eucharistic Adoration, pray a Rosary for Vocations and celebrate a Mass for Vocations before each monthly meeting. Sponsor the Diocese of Joliet Annual Seminarian Sendoff. Manage the Seminarian "Baseball" Card Program each year. Produce the diocesan Vocation Prayer Calendar three times per year. 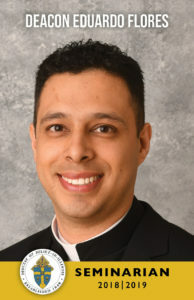 Assist the Diocesan Vocation Director as called upon. Meet monthly to pray, socialize, dine and listen to a guest speaker. Provide funding for the annual Seminarian Poster. Visit www.serradupage.org to learn more. Vist www.serraspark.org for more resources. 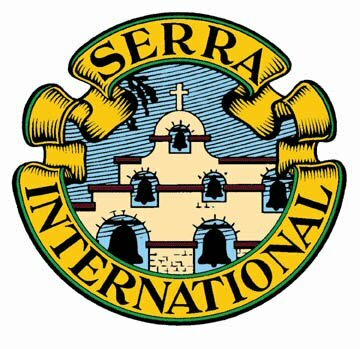 SERRA INTERNATIONAL is recognized by the Holy See as the global lay apostolate for vocations in the Catholic Church.